A simple village expansion for Kynesgrove. 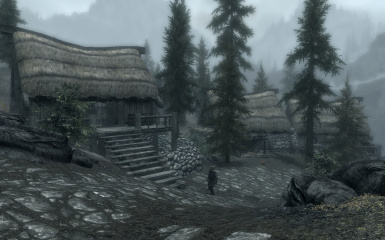 It has always bothered me to some extent that Kynesgrove gets major attention during the main quest, even with its own guard contingent, yet is nothing more than one inn and a few people in a small camp. Given that it's supposed to be an actual village, it felt like these people needed to at least have proper homes even if they are poor. 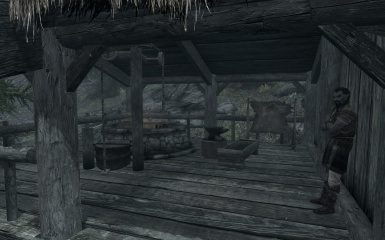 So this mod aims to correct this problem by providing houses for Ganna & Gemma Uriel, and Roggi Knot-Beard while also adding a new blacksmith to round things out for the village. Now, even though they all still work the mines, they have homes to return to at night. * The blacksmith has full investment support with the proper perk. Drop the Kynesgrove.esp, Kynesgrove.bsa, and Kynesgrove - Textures.bsa files into your Data folder. 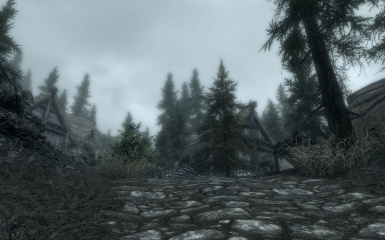 To remove the mod: Delete the Kynesgrove.esp, Kynesgrove.bsa, and Kynesgrove - Textures.bsa files from your Data folder. Then reload your game as usual. Fully compatible with Cutting Room Floor. Will not be compatible with other mods that change the Kynesgrove exteriors. Definitely not compatible with the Enhanced Cities & Towns module for Kynesgrove since both mods make houses for the same people. A patch would not really be feasible to resolve this.